SAE Towers is a group of operating companies incorporated in the United States, Mexico and Brazil consolidated through SAE Towers Holdings, LLC. In September of 2010, SAE Towers was acquired by KEC International Limited. This acquisition created one of the largest steel lattice tower manufacturers in the world with approximately 311,200 tons of annual production capacity. KEC is a leading member of RPG Enterprises, one of India’s fastest growing business groups. KEC has completed transmission line projects up to 1,200kV in 50 countries and is experienced in executing difficult projects in diverse terrains across the globe. Apart from transmission, KEC has a significant presence in power systems, cables, telecom, railway infrastructure and Water. KEC is a listed company on major Indian stock exchanges and has annual revenues of approximately $1.3 billion. More information on KEC and RPG can be found at www.kecrpg.com and www.rpggroup.com. 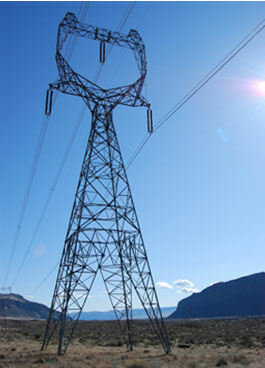 SAE Towers is one of the world’s largest producers of steel lattice towers for high-voltage power transmission. With more than double the market share of our closest competitor, we are the largest steel lattice producer in the Americas providing Optimized Transmission Structure Solutions through world-class in-house design, detailing, prototyping, testing manufacturing and supply capabilities. We are the industry’s most complete in-house resource for transmission structures and related services. With key resources situated at strategic locations in the Americas, we are ready to provide the transmission structure products and services you require. Our state-of-the-art transmission structure manufacturing plants are located in Monterrey, Mexico and Belo Horizonte, Brazil. These facilities encompass approximately 475,000 square feet and are capable of producing in excess of 100,000 tons annually. We perform all engineering design and detailing of lattice towers, steel poles and foundations in-house. Both plants conform to AISC fabricating procedures and have achieved several coveted quality, safety and environmental certifications. Now that we are part of KEC International, we have access to an additional 174,000 tons of production capacity from plants located at Nagpur, Jabalpur and Jaipur in India. With more than 274,000 tons of combined production capacity, we are one of the largest tower manufacturing companies in the world. Drawing on the industry’s preeminent combination of capability, capacity and experience, we are determined to continue the tradition of excellence that began with the original SAE back in 1926. We are committed to the continuous improvement of the extensive capabilities of our state-of-the-art manufacturing facilities and the high levels of reliability that result from our quality-driven processes. Over the years we have developed a strong and defining tradition of customer service that shapes everything we do. Our proximity to our customers in the Americas is not only reflected in accelerated supply cycles but in the ways we understand the needs, preferences and business cultures of our customers. To view a video about KEC International, click here.